The OnePlus 3T Midnight Black features space-grade aluminum with three carefully applied dark coatings 14 microns thick and maintains the natural look and feel of metal. Each phone undergoes two sandblasting treatments with various sizes of metal sand to bring out a bright, classy luster. To finish each device, an anti-fingerprint layer is applied to keep the device looking as pristine as the day you first take the phone out of the box. Aside from the 128GB-only spec, it has the same guts as the standard OnePlus 3T: Snapdragon 821, 5.5-inch 1080p screen, 6GB of RAM, unlocked GSM radio with dual SIM slot, fingerprint sensor, 16MP rear camera, 3400mAh battery, and that weird USB 2.0 Type-C connector. At the moment the phone is running Android Nougat via the company's customized OxygenOS 4.0.2, though there are popular aftermarket alternatives as well. 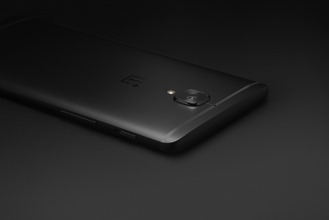 LONDON – March 22, 2017 – OnePlus today announced that it is making its latest all-black version of the OnePlus 3T available to more users with the limited release of the OnePlus 3T Midnight Black. This follows the success of OnePlus’ design collaboration with worldrenowned concept store colette for the OnePlus 3T colette edition, which drew hundreds of fans to the one-day pop-up sales event in Paris on March 21 to queue up for this sleek new version of the OnePlus 3T. OnePlus is teaming up with Hypebeast for a unique online pop-up sales event from 4 PM GMT on March 24 on https://hbx.com/, where the first 250 units of the limited-edition OnePlus 3T Midnight Black will be available while supplies last. 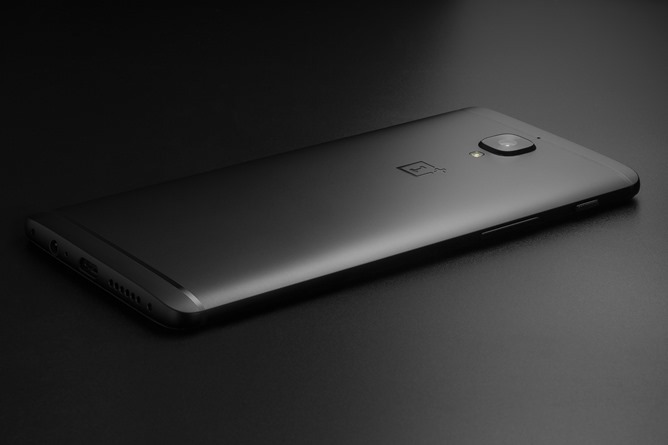 Fans in North America and Europe will be able to purchase the Midnight Black version on OnePlus.net for a limited time at a later date. “OnePlus incorporates user feedback into the product development process like no other company. 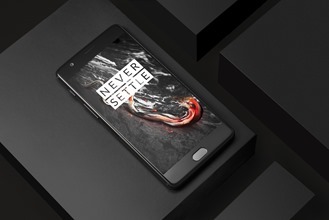 Our users have been asking for an all-black OnePlus 3T, so our team worked hard to bring them the most stunning OnePlus phone to-date in the OnePlus 3T Midnight Black,” said Pete Lau, founder and CEO of OnePlus. “This new version of our most successful phone so far combines powerful hardware, fast and smooth software and the finest attention to detail.” Staying true to its Never Settle mantra, OnePlus has tested more than 30 color iterations to perfect the all-black aluminum unibody design. The OnePlus 3T Midnight Black features space-grade aluminum with three carefully applied dark coatings 14 microns thick and maintains the natural look and feel of metal. Each phone undergoes two sandblasting treatments with various sizes of metal sand to bring out a bright, classy luster. To finish each device, an anti-fingerprint layer is applied to keep the device looking as pristine as the day you first take the phone out of the box. Built together with OnePlus’ community of tech enthusiasts, the OnePlus 3T has been recognized as one of the top smartphones of the past year. Industry-leading technology like Dash Charge, which gives users a day’s power in half an hour, and the fastest version of the Qualcomm® Snapdragon™ 821 processor give users one of the most powerful smartphones available on the market. The new all-black design of the Midnight Black variant now gives users the sleekest and most beautiful flagship device OnePlus has ever offered. The OnePlus 3T Midnight Black version will come with 128 GB of storage and 6 GB of RAM and will retail for USD 479 / EUR 479 / GBP 439 while supplies last.